Do you find it a tad bit interesting that there are two things related to mind wellness that have somehow caused a little confusion among people? It just definitely goes to show that although overall well-being programs has gained the attention of the crowd, things would still be as complicated as it normally is. One idea would be confused with the other like twins who look exactly like each other but are way too different more often than not. Ironic as it is, there’s the concept of mindfulness and meditation that have always been the subject of dilemma, mainly because they sound like the synonym of each other. But what actually makes them opposite from one another? Mindfulness is defined as being aware of the here and now and of what’s happening outside the self. Being mindful happens every single day if you let yourself. It can be practical to all situations where your eyes are opened. When one becomes aware, they know what their bodies actually need such as enough sleep, nourishment, physical exercise and many more. When one is aware, he becomes free of things that create emotional stress such as regrets, judgments, anxieties and whatnot. To be mindful means to live in the moment; to go through life as if it’s the first time; and to accept the things that come your way without worrying and stressing too much. When one lives life mindfully, he makes his relationships better because love and goodwill is cultivated through forbearance and reliance that leads to acceptance. Mindfulness opens the mind and strengthens the communication of each one. People who practice mindfulness tend to be more understanding of other people’s behavior. When stressful something occurs, compassion comes in as people becomes fully mindful of what the other person actually needs. For an instance, one person has reacted negatively toward a certain situation, while the more mindful one does not take it to heart because he understands what the other person could be undergoing. Every mindful person’s reaction is coupled with sympathy and reason when people push their buttons. Mindfulness, indeed, makes life more meaningful. Meditation is giving yourself, especially your body, a deeper kind of rest through mastering the art of letting go and surrendering everything that fills the mind. This way, healing comes to the body as it gains the rest necessary for it to keep up. All these occurs as the body approaches the conscious state. Meditation is just like any other activities that require consistency to get the outcome. Patience is required to practice meditation as certain things may get sloppy as the mind cluttering operation happens. The more time you commit for this, the easier your life would become. 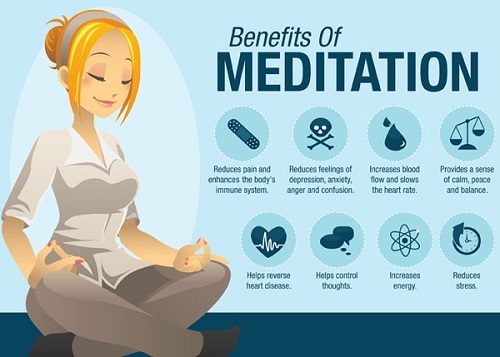 Meditation is also called a moment of deep and restful kind of waking that helps people be aware and eventually achieve inner peace as the troublesome noise of the mind is lessened. It aids the mental state to loosen up and focus on important matters such as peace and love crucial for every person’s to develop and transform. Not only does meditation relinquishes tension, it also helps strengthen how the brain functions through improved physical health and also sleeping patterns. Mindfulness and meditation both originated in the ancient history of spiritual religion that practiced chants and mantras. They may be two different side of the coin, but they complement each other. Meditation helps us achieve peace from within, while mindfulness helps be at peace with the goings on in our surroundings. Meditation is an internal peace process while mindfulness is external. These two should not be confused with one another because they’re two contrasting things. They have diverse explanation and function. One significant thing to note is that there is an activity that overlaps the two, and it’s called mindfulness meditation where one brings awareness into the time being through a more oriented and centered manner of meditation. In conclusion to all the fuss about how different are these two from each other, meditation is actually a broad terminology that covers the activity of accomplishing awareness and strength to recognize and shape the mental state. It calls for a number of qualities and methods to come through a deepened state of mind such as mercy, patience and mindfulness. That being said, mindfulness is actually under the umbrella of meditation just like yoga. Mindfulness is not about stressing and thinking hard; and meditation is not about turning off the mind. Both of these two practices are abilities that help us come to terms with peace internally and externally. Both of them provide a means to gain happiness and lessen distress by letting go of past and future worries. Julian Angelo. "Difference Between Mindfulness and Meditation." DifferenceBetween.net. 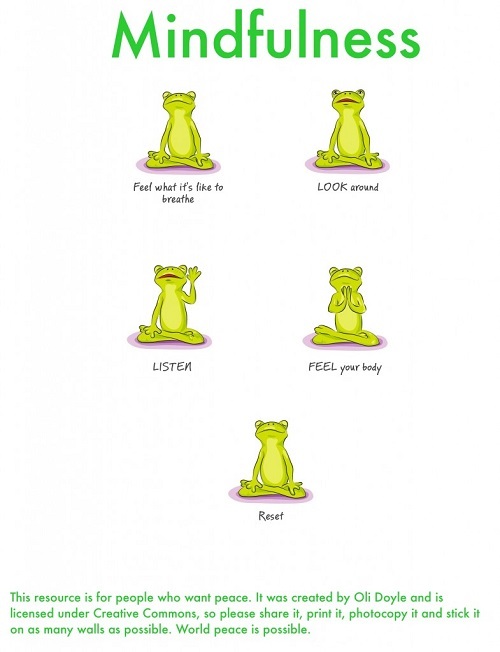 September 15, 2017 < http://www.differencebetween.net/language/difference-between-mindfulness-and-meditation/ >.